Joyce and Mike speak with Dr. David F. McDermott, Director of the Kidney Cancer Program at Dana Farber/Harvard Cancer Center in Boston, Massachusetts, and Program Chairman of the 11th Annual Kidney Cancer Symposium sponsored by the Kidney Cancer Association which took place in Chicago the first week of October 2012. 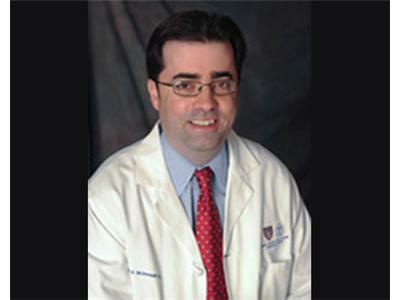 Dr. McDermott helps us understand about the role of biopsies in treating kidney cancer. When it it beneficial? what information does it supply to the treating physician? How important is it? what are the risks? Can imaging replace a biopsy at least in some cases? He also helps us understand the drugs currently available for kidney cancer, and the future of drug therapies for this condition. Should a person with kidney cancer consider a clinical trial? We also discuss the importane of getting advice from one of the major centers that is more frequently involved in treating kidney cancer. Second opinions are available even without traveling. It is important to get input from an expert on the plan for your treatment before any surgery and before treatment actually begins. To create some of the new immune therapies, for example, the lab will need a fresh piece of your tumor. If they tumor has already been removed and preserved, this option might not be available to you.